Daffodil Design - Calgary Design and Lifestyle Blog: things i love tuesday. 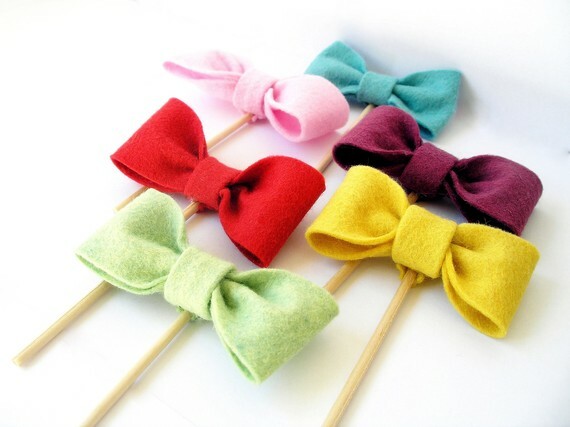 i'm am very much in love with these sweet & simple felt bowtie cupcake toppers. already collecting faves for my babies' birthdays later this year. i successfully tackled this recipe on the weekend. paired with delicious slow cooked bbq ribs for dinner and the leftovers gobbled up for breaky. yum. say hello to my little friend. the bissell little green. i think my new buddy will help me conquer the little spots and stains that magically appear on the stairs. it worked wonders for me today! ty pennington has a fabric line? i really. really. really. want this dress from mod cloth. perhaps it'll be restocked someday soon. my first print job is at prepress with juke box print. i was so thrilled to have discovered them on the weekend. their prices are incredible and i hope the quality is too! my babies have super sensitive skin. who doesn't in this absurd climate?! we love live clean's tearless shampoo and wash, and the moisturizing body lotion. it's made of 98% plant ingredients, paraben and phthalate free... and it smells oh so good.